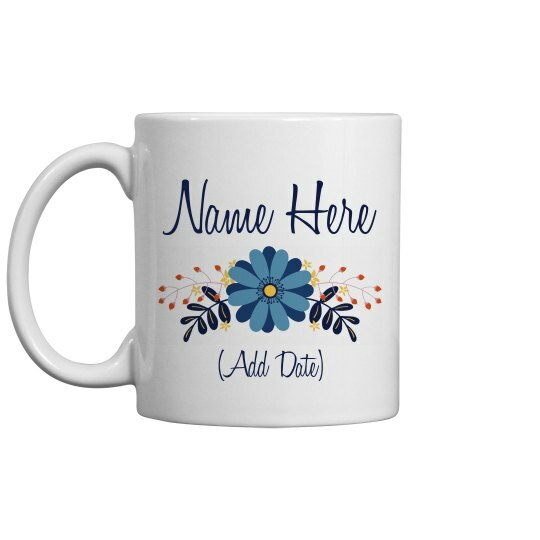 Personalize this classy, floral coffee mug with your future wedding date and give it to your coffee obsessed BFF. Ask her to be your maid of honor with this sweet gift. Custom Text Back: Will you be | my bridesmaid?